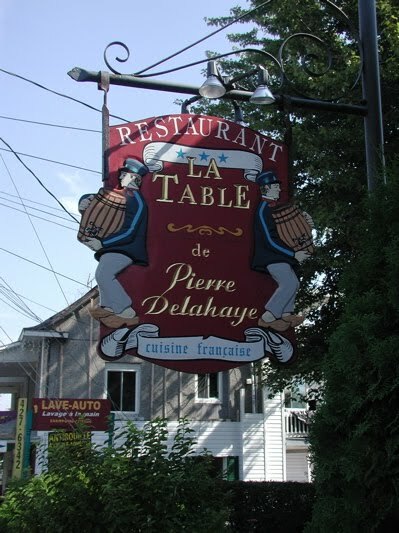 La table de Pierre Delahaye in Papineauville. Sue Frause photo. I try to visit Quebec at least once a year. My affection for La Belle Province is based on a lot of things, but right at the top is their cuisine. When the now defunct Gourmet magazine devoted an entire issue to Montreal, it was of course a salute to the entire province's love affair with food. So what about that food delicacy (I use the word lightly) known as poutine? I will admit that I've never tasted it. I know, as a Closet Canuck, you think I would be a bit more adventurous, but the thought of putting a fork filled with french fries, cheese curds and brown gravy into my mouth is not at all appealing. Obviously, I'm in the minority. Not only does McDonald's have poutine on its menu, there is a website simply called Montreal Poutine. And on the front page of The Seattle Times today, there's a 2010 Winter Olympics story about poutine: Can fries, gravy, curds calm a war over words?